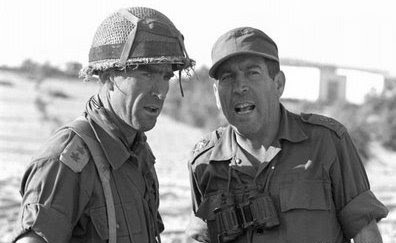 Israel Tal (born 1924), also known as Talik , is an Israel Defense Forces (IDF) general known for his knowledge of tank warfare. 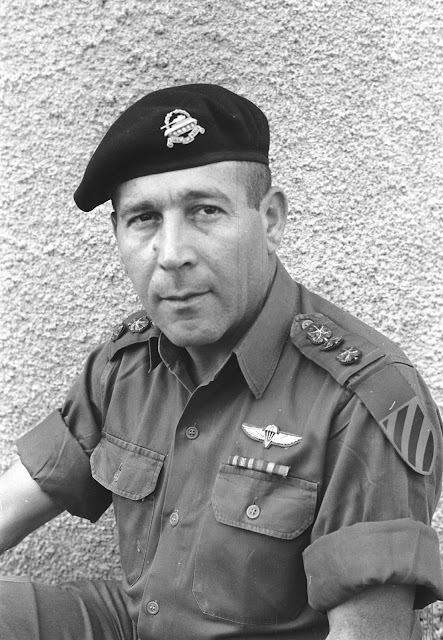 Tal was a brigade commander during the Sinai War, an armored-division commander in Sinai Peninsula during the Six Day War, and commander of the southern front during the final stages of the Yom Kipur War. The Israeli government decided in 1970 that it needed tank-building capacity. 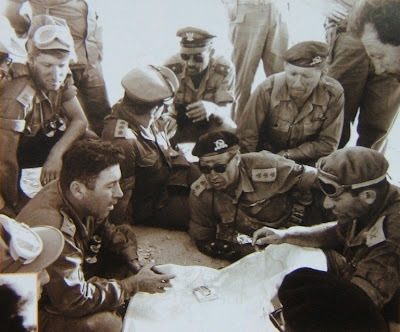 General Israel Tal led a development team which took into consideration Israel's battlefield characteristics and lessons learned from previous wars, and began the development and building of Israel's Merkava tank. 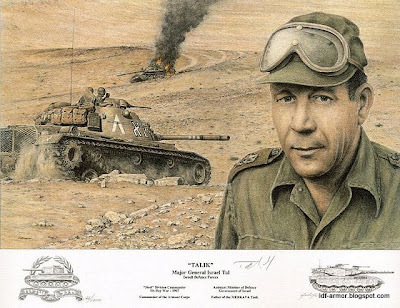 Israel Tal's picture appears in Patton Museum of Cavalry and Armor "Wall of Greatest Armor Commanders" along with Moshe Peled (also Israeli), Americans George S. Patton and Creighton Abrams and German field-marshal Erwin Rommel. Tal received the Israel Prize in 1997 for "[A] special contribution to the society and state". In 2002 he was chosen "Knight of Quality Government" by the Movement for Quality Government in Israel in the "Military and security" category. Gen. Tal is the creator of the Israeli armour doctrine which led to the Israeli successes in the Sinai in the Six Day War. After the Suez Crisis, Tal organized the armour into the leading element of the Israeli Defense Forces, characterized by high mobility and relentless assault. 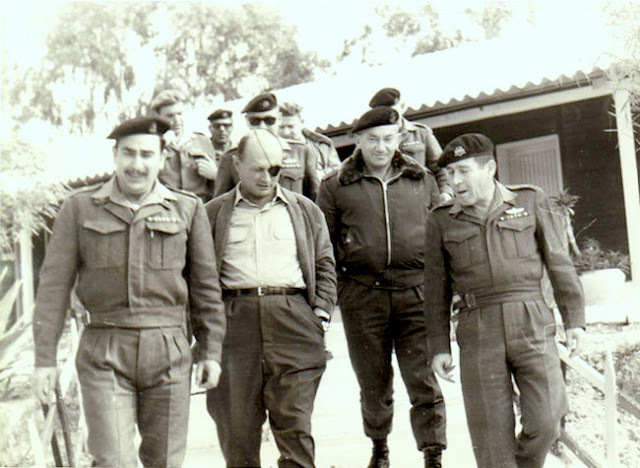 General Tal took over Israeli armor corps in 1964 and re-trained all Israeli gunners to hit targets beyond 1.5km. In open terrain, this long distance gunnery proved vital to survival of Israeli armor corps for subsequent wars. Mobility is comparable to the German Blitzkrieg and many hold it to be an evolution of that tactic. 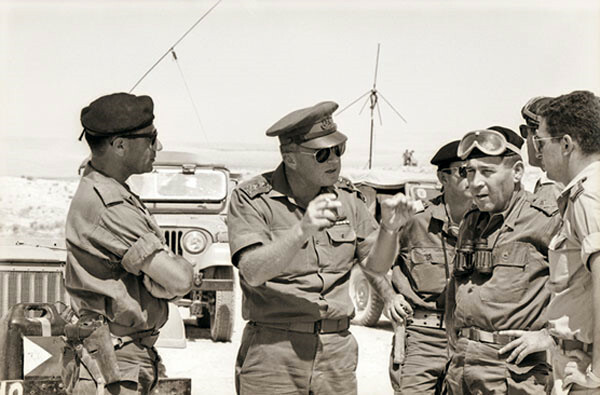 Tal's transformation and success in 1967 led the IDF to expand the role of armour. This led to reduced attention to other less glamorous aspects of the army such as the Infantry. In the 1973 Yom Kippur War, excessive focus on fast striking armour left the IDF without adequate defensive ability. 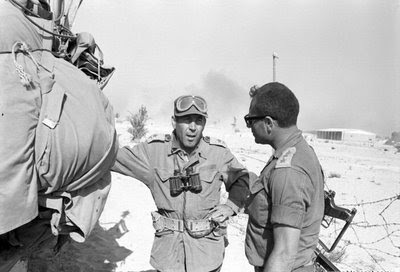 Only in latter stages of the war did the armour break out and show its potential when General Ariel Sharon's armour was able to penetrate the Egyptian lines, cross the Suez Canal and envelope the Egyptian 3rd Army near Suez. 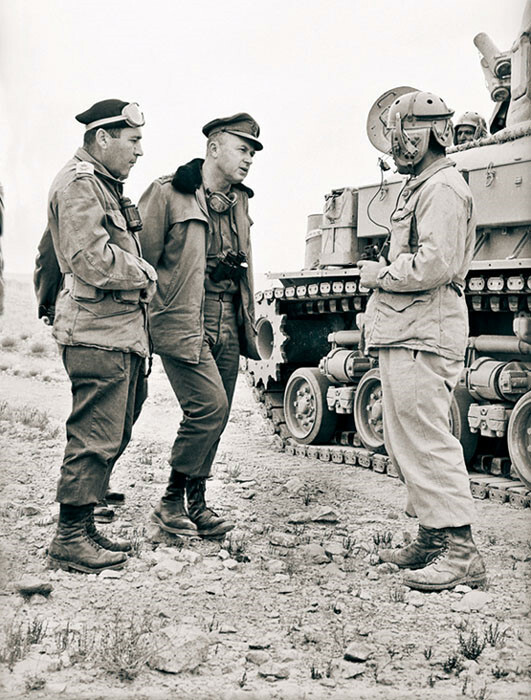 While the IDF has become a more balanced force since 1973, Tal's influence on armour doctrine was very important to the IDF's development and has influenced armoured doctrines the world over. Israel Tal, a teenager at the time, fought as a sergeant in the Jewish Brigade with British forces in Italy in World War II. 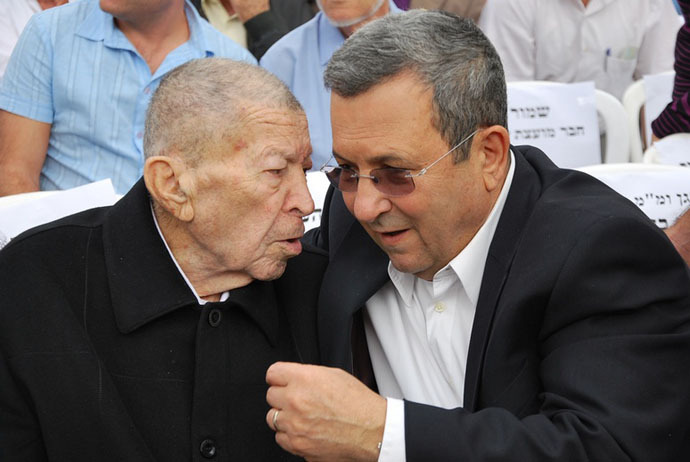 He would leave that war just in time to participate in the Israeli War of Independence, and again in the 1956 War, and again as a division commander in the Six-Day War (1967). 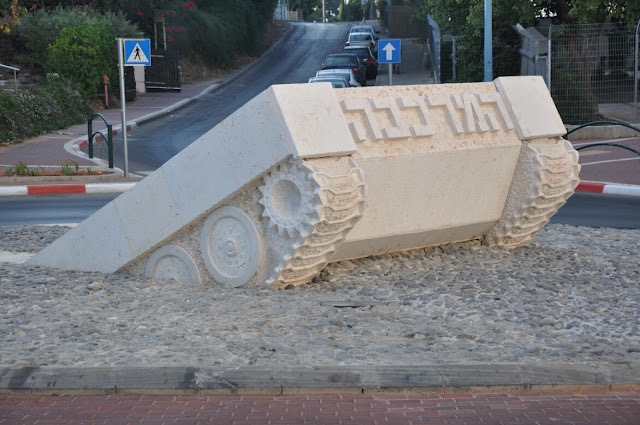 Then as the Israelis struggled to separate themselves from dependence on foreign equipment, General Tal set about to design and produce a tank, a tank for the unique combat circumstances faced by the Israeli Defense Force. The Merkava was the result and is by all odds the best of the world’s tanks in terms of most nearly meeting the requirements set forth for it by the user – the Armoured Corps of the Israel Defense Force. In every detail it is Tal’s tank. Its capabilities include, among other things, the ability to provide crew and vehicle survivability at levels never dreamed of before its design. Syria’s attempt to divert water away from the Jordan River from the snow melt run-off on the slopes of Mount Hermon on the Golan Heights prompted the Merkava’s capability for long range gunnery. That run-off was a critical source of water into the Jordan. Having failed at political persuasion with the Syrians, Israel called on its Armoured Corps to solve the problem. Tal and his tanks opened fire across the border onto the Syrian bulldozers digging trenches to divert the water. The Syrians backed up the mountain; the tanks opened fire at greater range. After several such episodes, the digging stopped, not to be resumed. The Armoured Corps became world class long-range tank gunners and the water continued to flow into the Jordan. Un site vraiment très plaisant à la gloire, toute méritée, d'un peuple courageux.